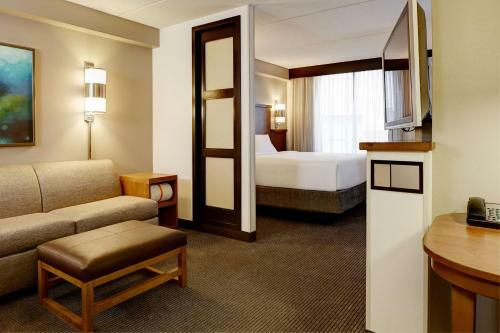 Rooms from $83.77 per night. 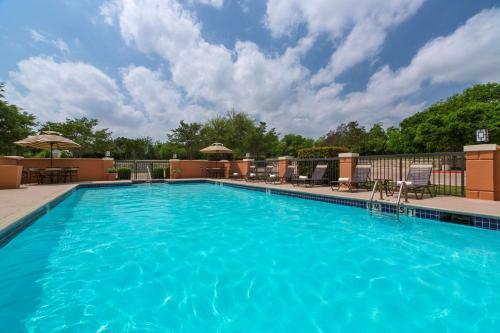 Description This College Park, Georgia hotel has an outdoor pool, free internet access, non-smoking guest rooms, an on-site restaurant and free breakfast. This hotel is also pet friendly. 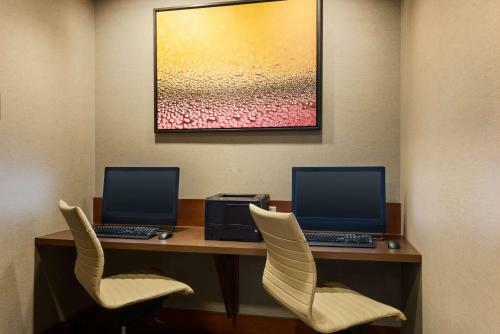 Free Wi-Fi complimentary breakfast plush beds and extra-large HDTVs are are among convenient comforts at the non-smoking Hyatt Place Atlanta Airport South conveniently located one mile from Hartsfield-Jackson International Airport. 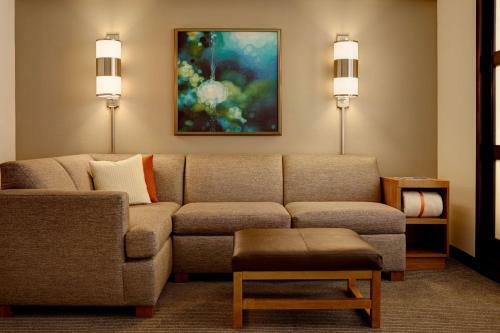 The six-story non-smoking property equips each of its 123 rooms with frosted dividers delineating sleep and living spaces sofa beds and 42-inch flat-panel HDTVs with Plug-and-Play technology. 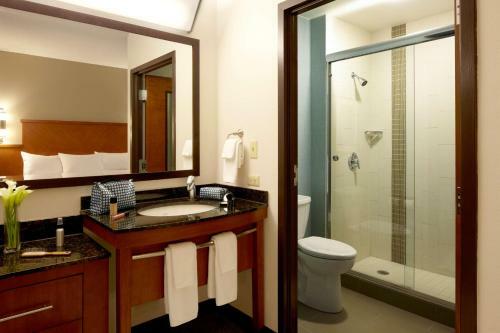 Other comforts include complimentary Wi-Fi wet-dry bars with mini-fridges and signature beds. The 24/7 bakery/cafe serves sandwiches salads pastries Starbucks coffee beer and wine. 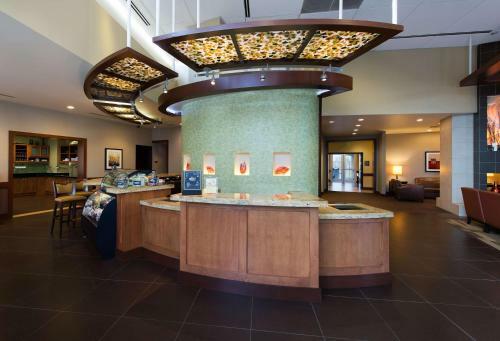 Work out at the 24-hour fitness center. A free breakfast is served every morning. 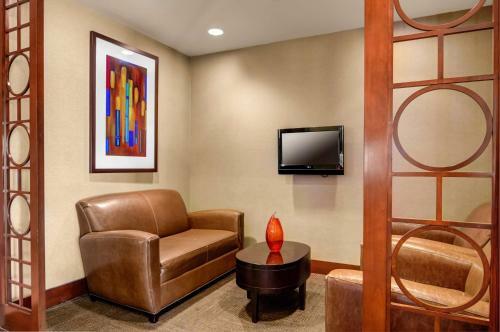 Catch the hotel's convenient free airport shuttle. 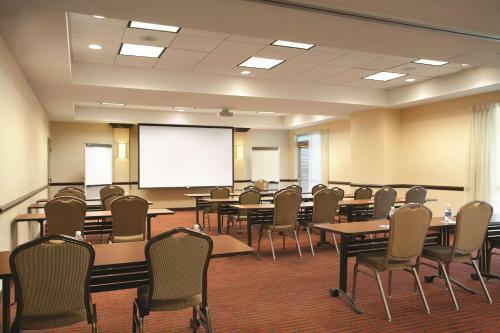 Located one mile from Hartsfield-Jackson International Airport and MARTA off I-285 the hotel is a 10-minute drive from the Georgia International Convention Center. You can hit many of Atlanta's top attractions including Braves' Turner Field World of Coca-Cola and Georgia Aquarium in about 20 minutes. 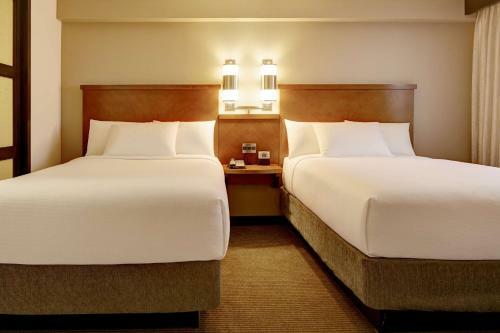 Add Hyatt Place Atlanta Airport South to your free online travel itinerary.